to provide unmanned aerial systems (UAS) to the Department of Defense (DoD) and other potential U.S. government customers through programs such as the recently announced U.S. Marine Corps’ Small Tactical Unmanned Aircraft System (STUAS)/Tier II program. 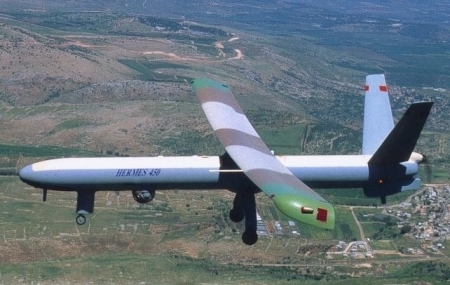 the combat-proven Hermes® and Skylark® systems, developed and fielded by Elbit Systems Ltd.
UAS Dynamics will adapt those proven designs to incorporate new technologies that use U.S. engineering, technology, manufacturing and logistics resources to rapidly field and satisfy evolving U.S. requirements. The new platforms will fill current and future operational gaps allowing Intelligence, Surveillance and Reconnaissance (ISR) capabilities that range in size and scope from hand-held and tactical level systems to medium altitude, long-endurance level systems. UAS Dynamics is equally owned by Elbit Systems of America and General Dynamics and is located in Fort Mill, South Carolina. Elbit Systems Ltd. is an international defense electronics company engaged in a wide range of defense-related programs throughout the world.